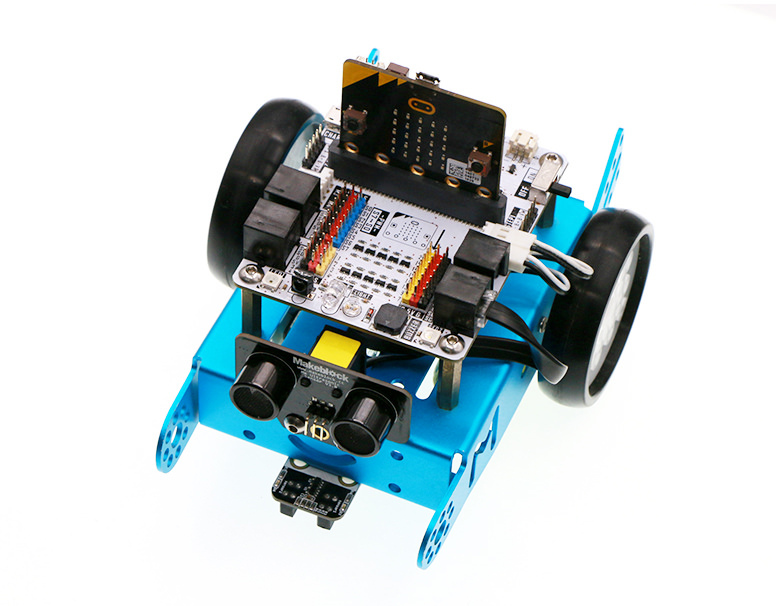 Robit is a motherboard for a micro:bit based smart car. 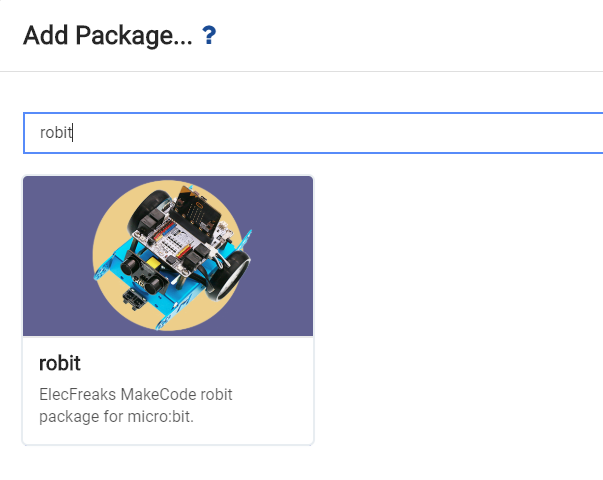 It is compatible with MBOT. 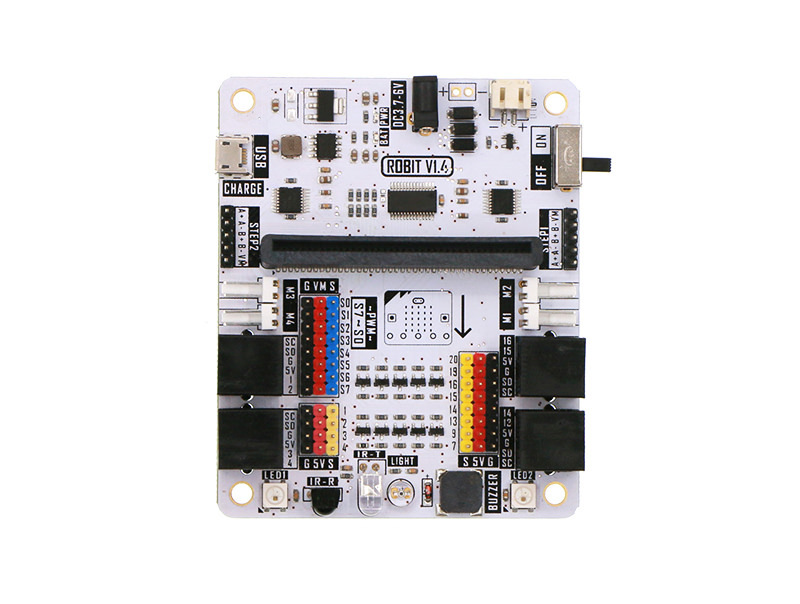 With most of the features of MBOT, with the addition of 4 DC motor connectors, 2 stepping motor connectors & 8 PWM signal output. 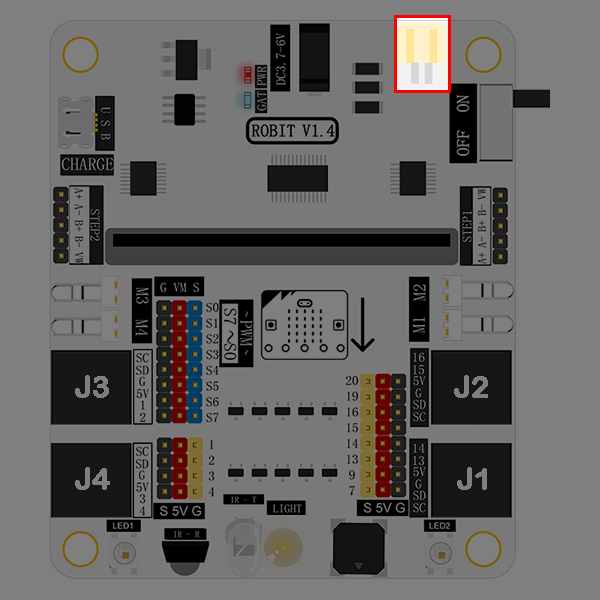 You can use it to drive PWM signal devices like servos. 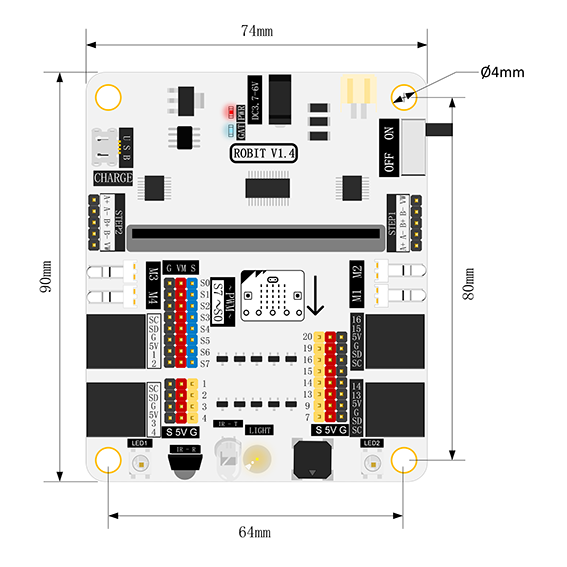 It has 8x G-5V-S digital signal connectors. 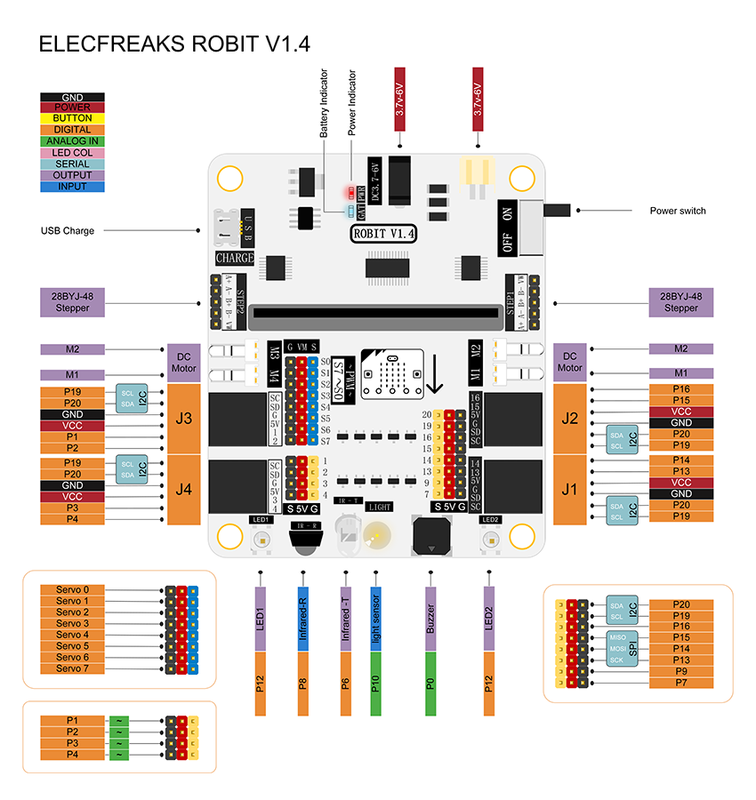 Robit can realize all the basic functions of MBOT. 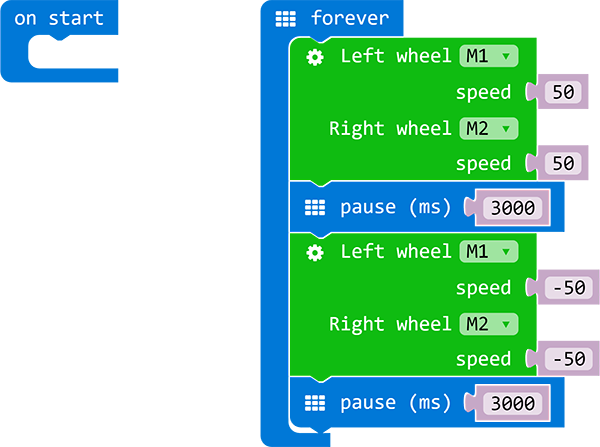 Additionally, you can extend its features with more sensors, motors, servos, stepping motors, etc. 8 PWM signal output connectors. 8 G-5V-S digital signal connectors. 4 G-5V-S analog signal connectors. 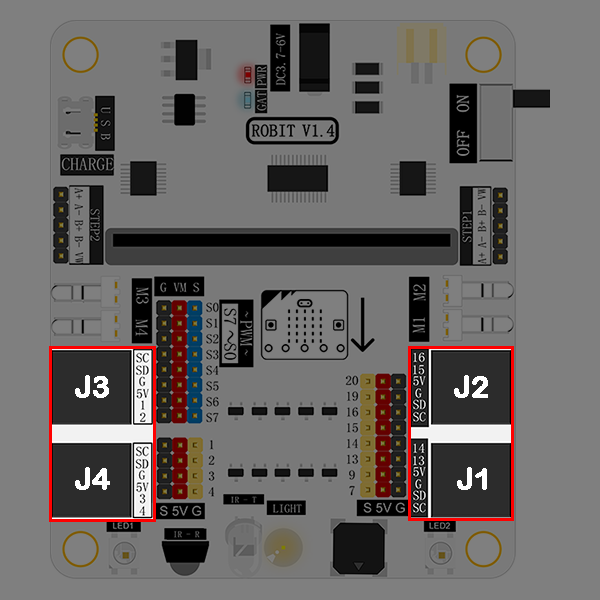 Robit has 4 RJ25 connectors. 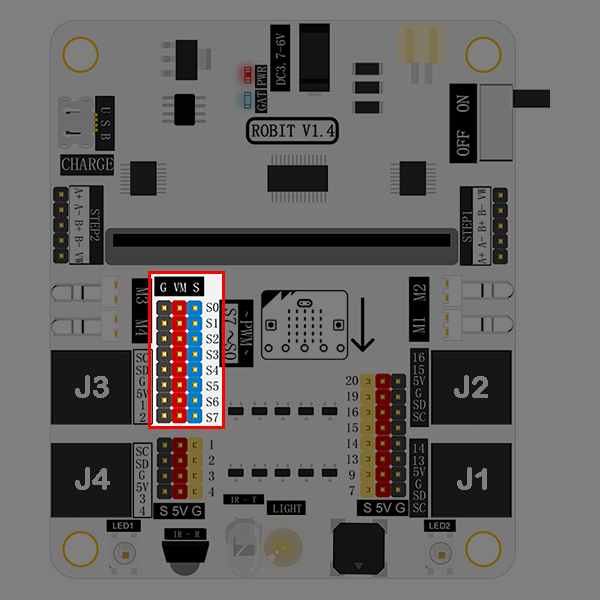 Each RJ25 connector has 6 touch points. 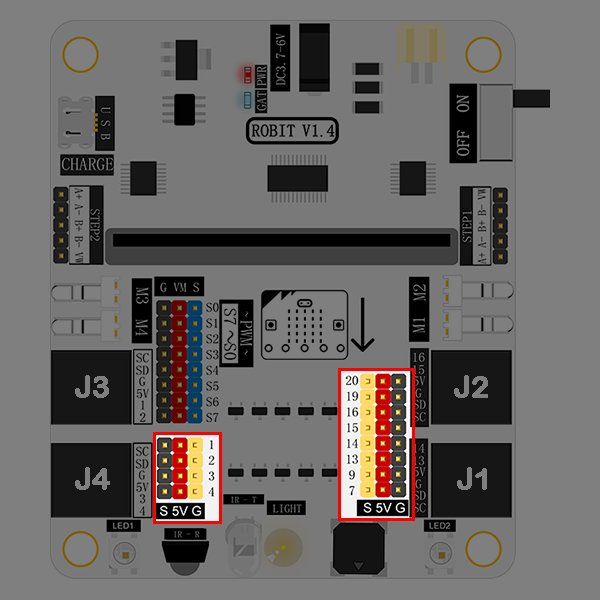 These points respond to power, 2 IO ports and I2C ports separately. It is compatible with some sensors on mBOT. In addition to the RJ25 connector, the I/O port on the micro:bit also interfaces with 5V components. AS well as, P1/P2/P3/P4 support 5V analog input sensors. 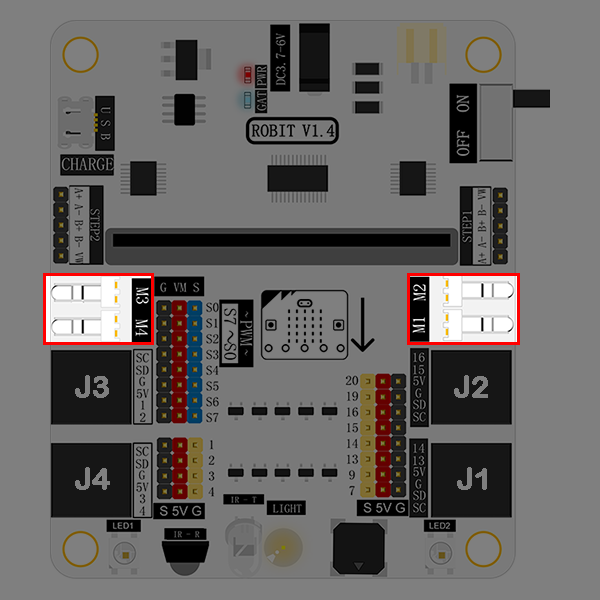 You can connect 8 servos total. 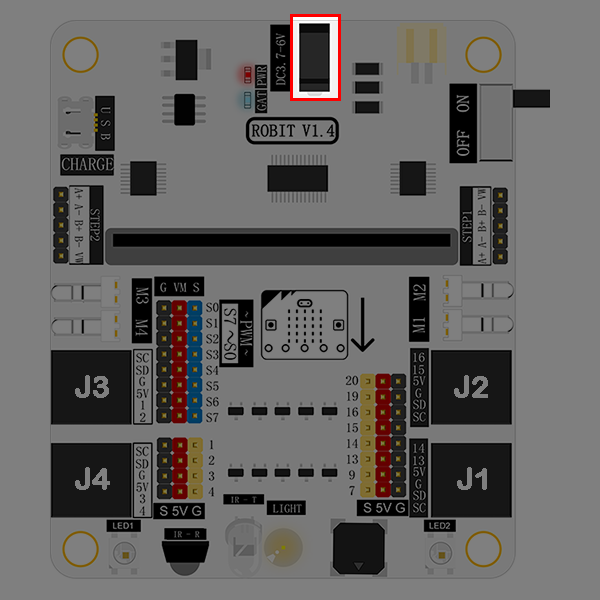 This connector leads out from the chip PCA9685 and extends from the I2C connector on micro:bit instead of normal I/O ports. 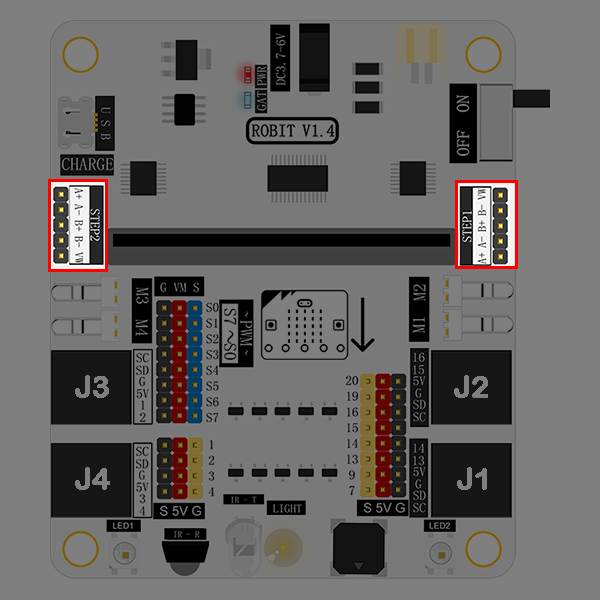 It allows you to connect 4 DC motors (max) at the same time. This connector leads out from the chip PCA9685 and extends from the I2C connector on micro:bit instead of normal I/O ports. 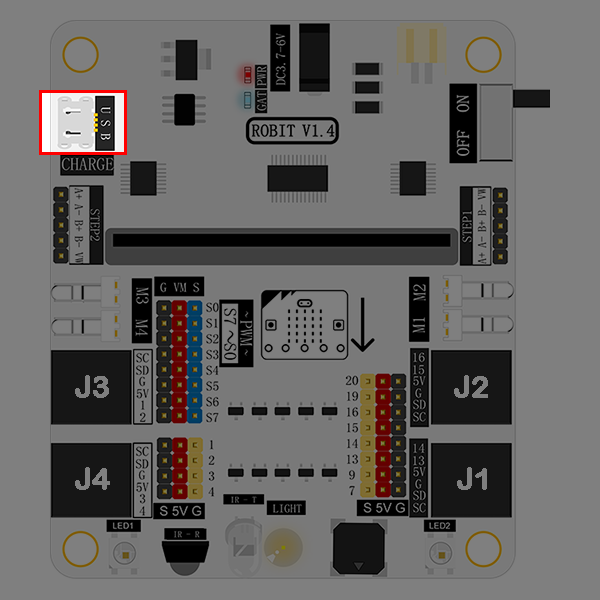 It enables you to connect (max) 2 stepping motors (28BYJ-48-5V). This indicator tells you battery power information with status blinks. Blink once means 1 grid of power. And the full power has 4 grids. That means it will blink 4 times when the battery power is full.